Birth. It is a most sacred event in a woman’s life. A right to passage to motherhood. Whether you birth at home or in a hospital, your body presents your long awaited gift…one that you've nurtured diligently. If there is one thing we can all agree on, all women labor differently and there are options to birth as compatible as every laboring mom needs. Hypnobirthing is one option that’s gentle and natural. Hypnobirthing is a childbirth method that applies techniques to induce deep relaxation, visualization and self-hypnosis. Contrary to popular belief, hypnosis is not a state of unconsciousness or sleep, but can be best described as daydream or focus that occurs when you're performing mundane tasks, such as staring into a fire in a fireplace. Eliminating fear and concerns associated with childbirth is vital. Affirmations during hypnosis encourages a positive mindset in overcoming this. To learn more about hypnobirthing, you can sign up for hypnobirthing info series for free! The Birth Relaxation Kit is the only hypnobirthing program presented by a board certified medical doctor who used this method to birth her child, at home, pain-free! Dr. Mavi Gupta and her husband, Jeremy Dyen are both certified hypnotherapists. Jeremy Dyen has been a professional musician for over 20 years. He has recorded on John Legend’s Grammy award winning CD, Get Lifted, and creates music for Yoga and meditation. The Birth Relaxation Kit comes in three different packages; Basic, Plus and Deluxe. It comes with Hypnosis MP3s, Birth Affirmation MP3, Birth Empowerment Book and more! All downloadable with no shipping. You can purchase this yourself and get a 10 week, money back guarantee OR WIN IT HERE. All from the comfort of your home; no scheduling and all of the privacy needed to enjoy deep and true relaxation! What One Mom's Moxie says: While I enjoyed the comforts of giving birth in a hospital, I wish I had given birth at home to all 3 of my daughters using hypnobirthing. Since I was so young with my first, I was 18, I was not educated on home birthing and hypnobirthing. So many mothers miss out on the opportunity to give birth to your child in your own home because of fear of the unknown. 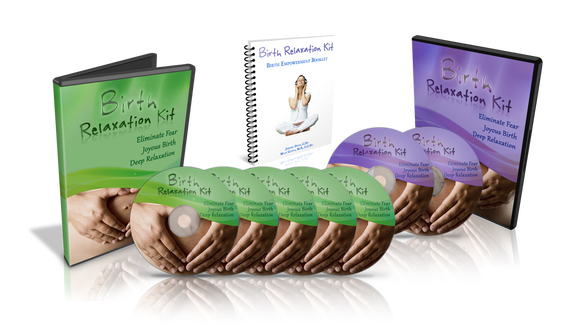 I think this Birth Relaxation Kit would be great for any mom looking into having a home birth. Even if you choose not to give birth at home there are great techniques that you can use even in a hospital setting. Just in time for Mother’s Day, TheOliveParent and Friends are offering TWO moms-to-be a chance to have a gentle birth! Two “Plus” Birth Relaxation Kits will be given away! Entry is easy. Visit www.birthrelaxationkit.com and leave a comment on the blog you’re visiting. Tell us which one of the four facts found on the homepage speaks to you the most and why. Fill out as many entries as possible to increase your chances of winning. Not expecting, but know someone who is? Share this giveaway with them and refer your friends for entries! This giveaway is open WORLDWIDE, 18+ Giveaway ends 4/29/13 1:00 AM CST Entering into the giveaway indicates you understand its terms and conditions. Many thanks to the AWESOME blogs co-hosting this giveaway! You can show your support of these blogs by following them on Twitter, Facebook & Google Plus. This giveaway is sponsored by Birth Relaxation Kit, Hosted by TheOliveParent, and Co-Hosted by participating blogs. Prize fulfillment is not the responsibility of TheOliveParent, TheOliveParent Media or participating blogs. 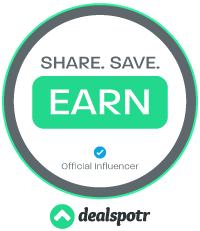 All information and products presented in this post is presented in an educational format and has not been evaluated by the FDA - should not be used to cure, treat or diagnose any diseases. This a TheOliveParent Media Event. We have a ton of free info on there (including a free intro hypnosis mp3). And also feel free to contact us by email anytime jm@dyenfamily.com if you have any thoughts, feelings or questions.